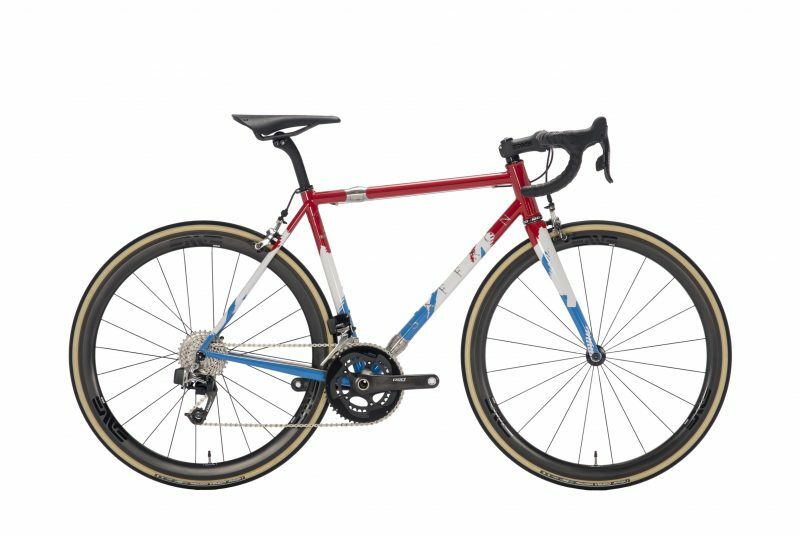 Rad is a repeat customer – but not for the best reasons. 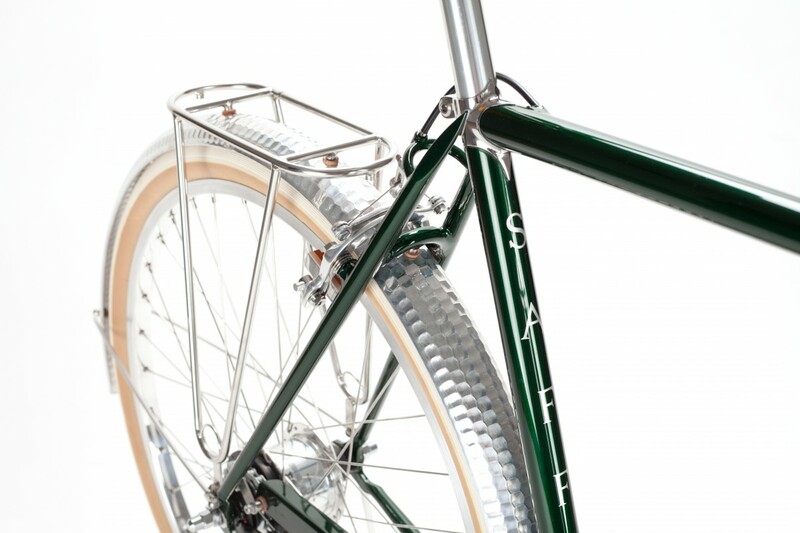 His previous custom butcher bike was stolen a couple of years ago and despite his best efforts its never surfaced. 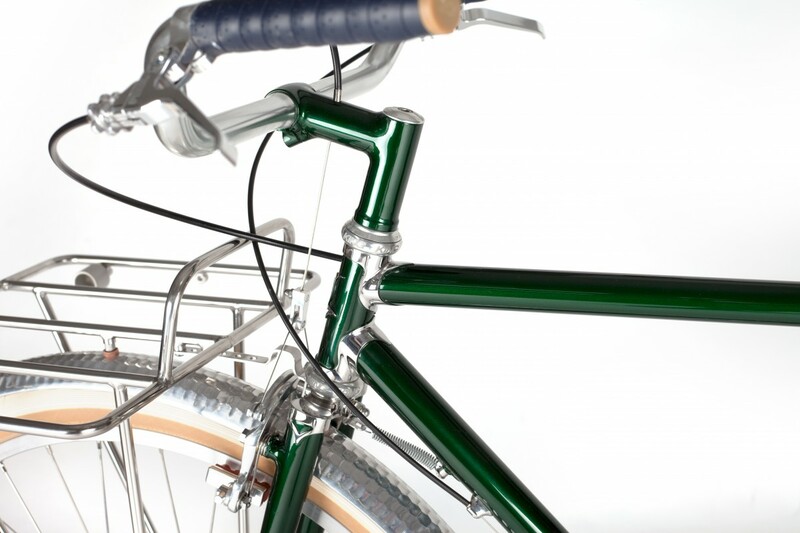 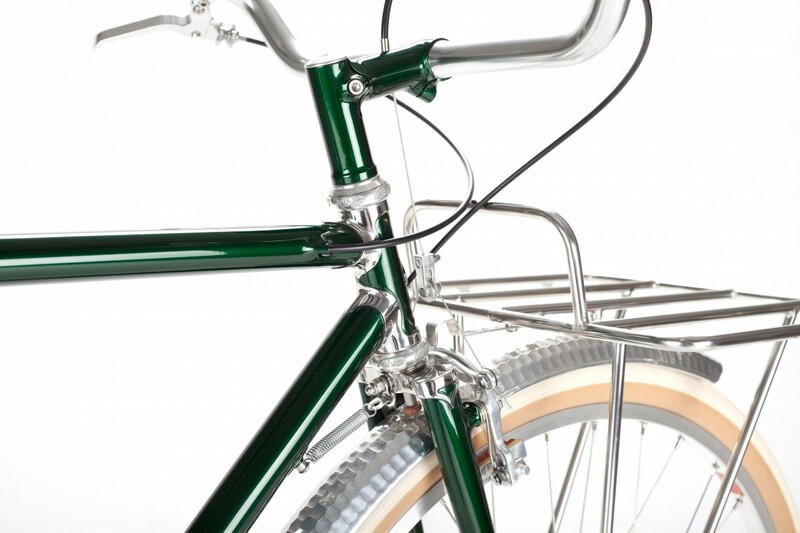 It was time to build him a new (and improved) version of the original award-winning bike. 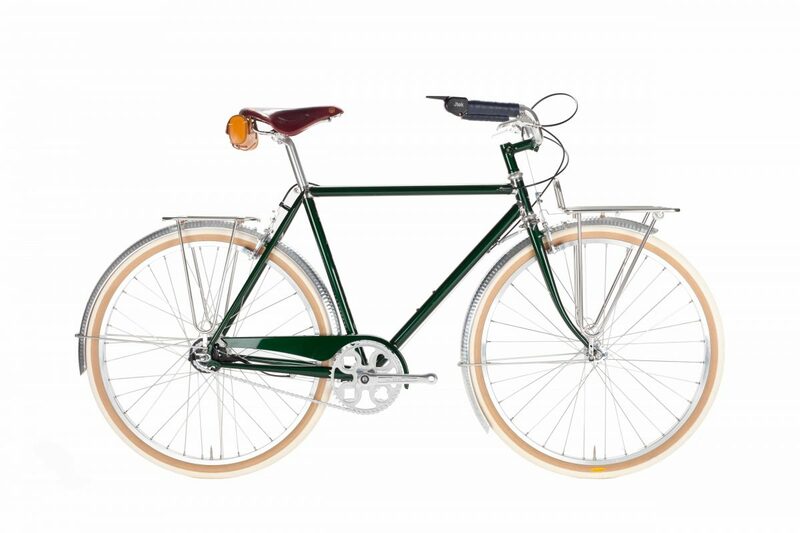 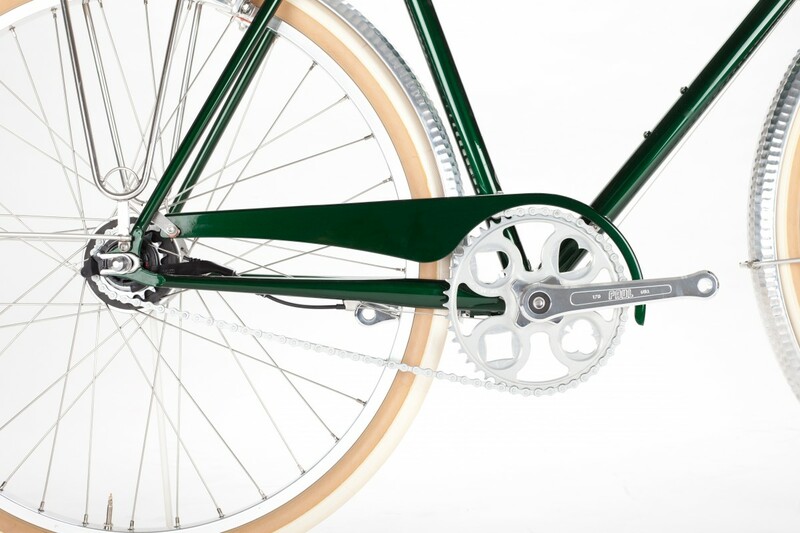 The key with a bike such as this is to hide the complication, and make everything look custom made for purpose. 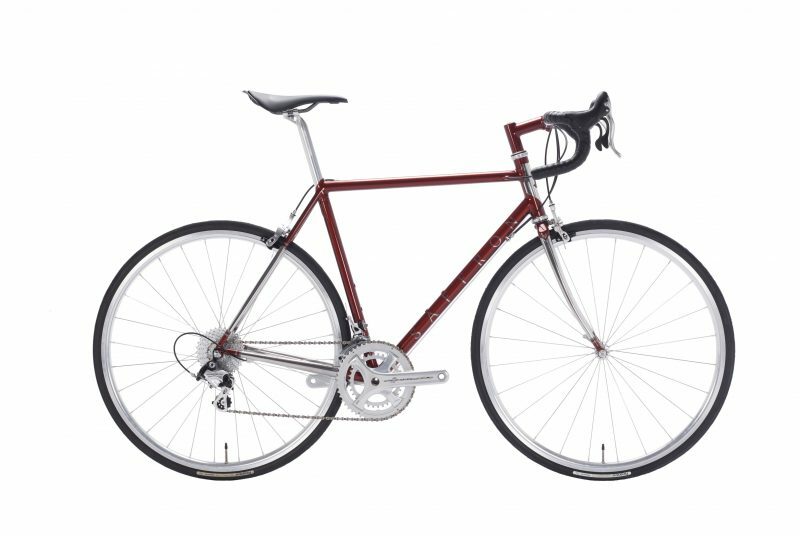 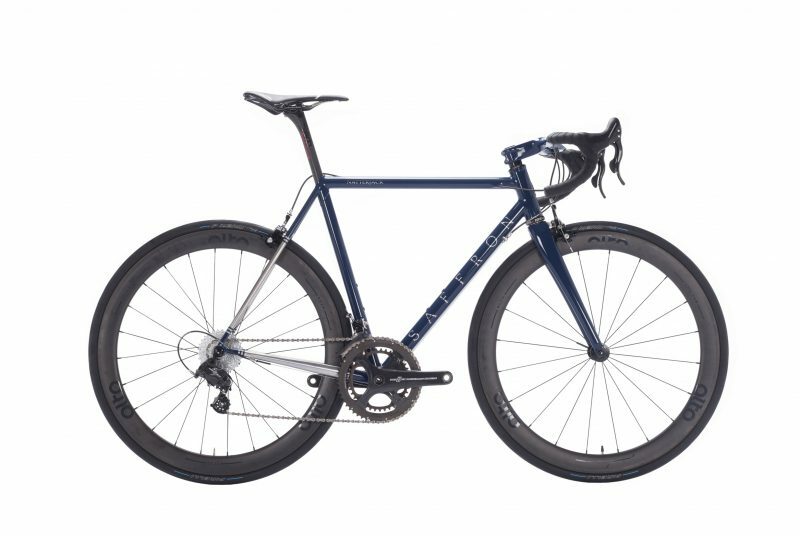 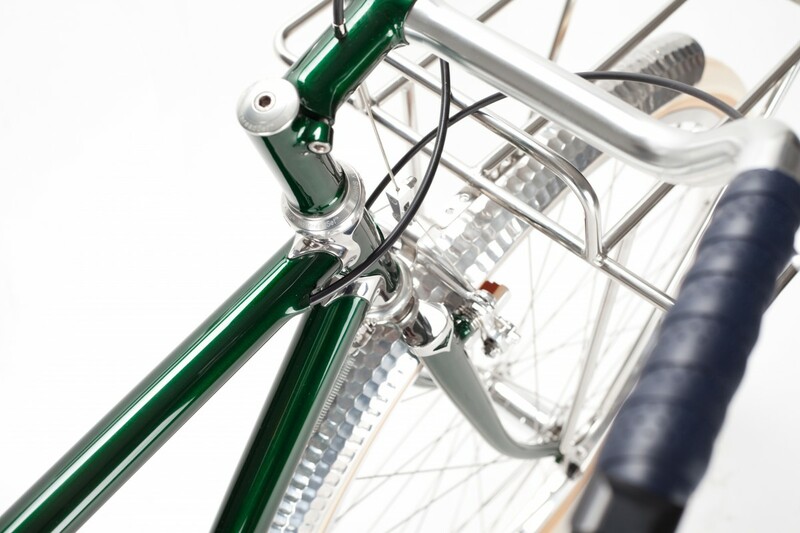 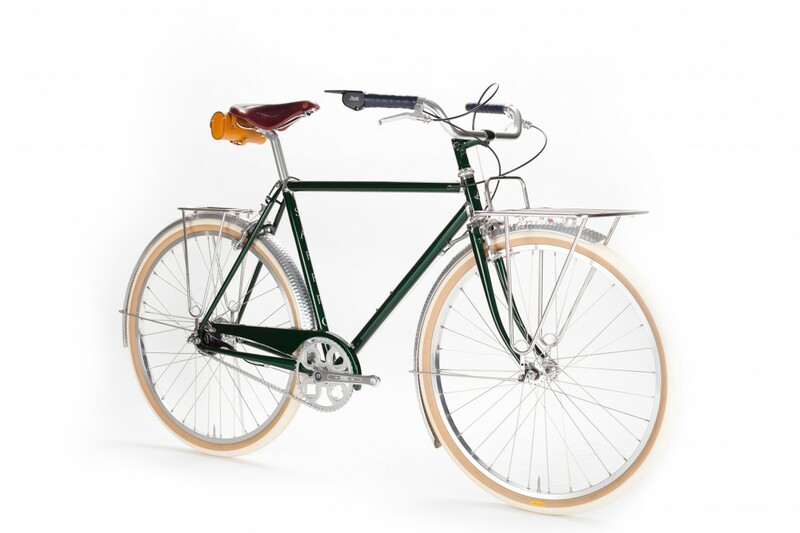 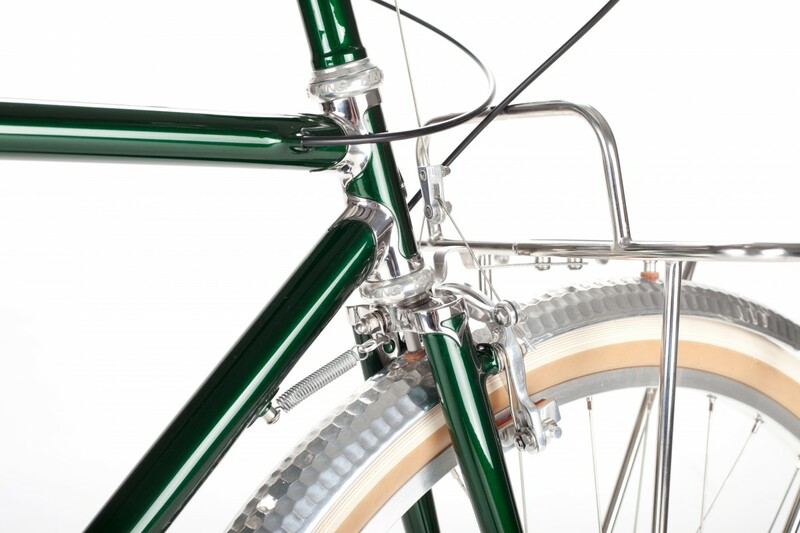 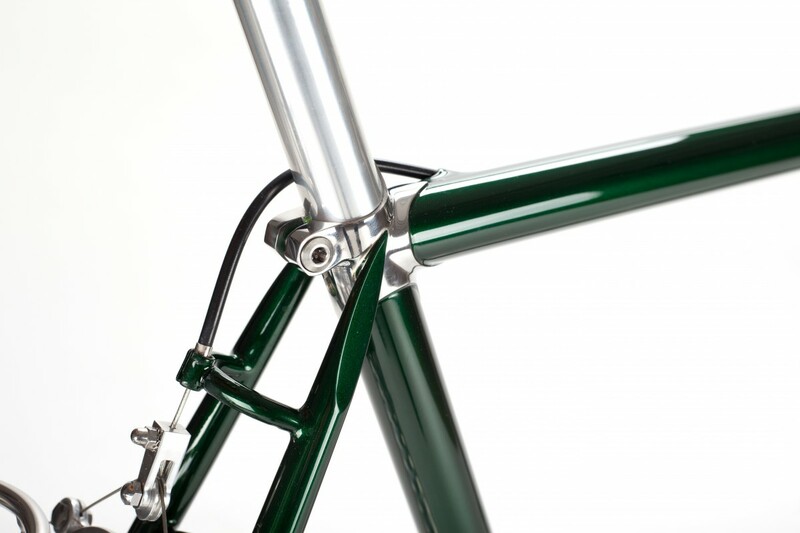 The frame specification is similar to his previous bike, with Columbus steel main tubes and polished hand finished stainless steel lugs. 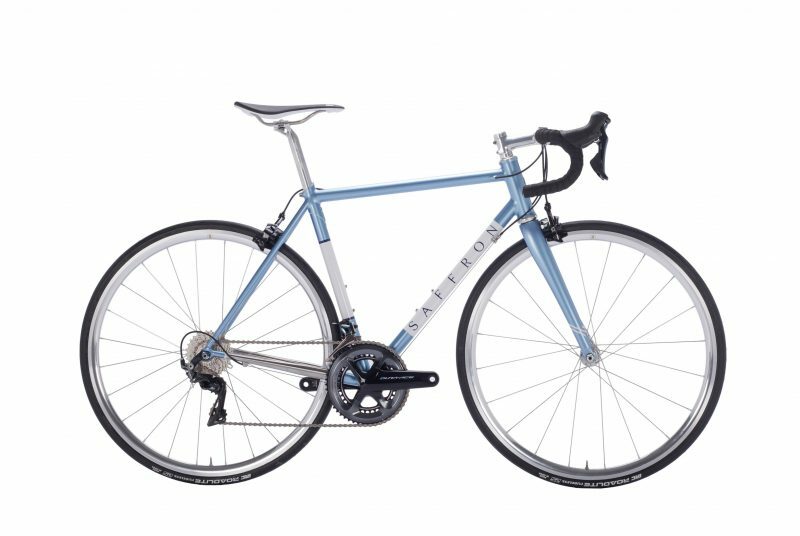 Rad wanted to use the bike every day, so an Alfine 11 speed hub will give him a wide range of gears for loaded and un-loaded commuting. 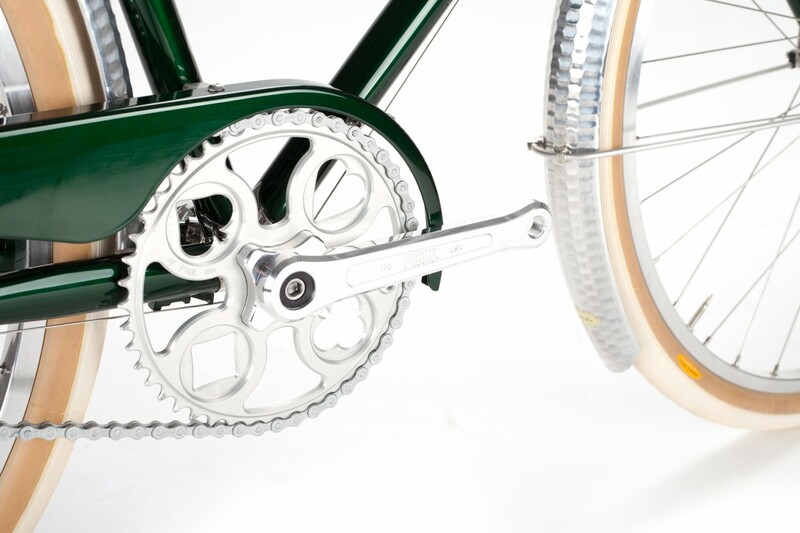 Brakes from Compass Cycles give that classic look whilst offering incredible stopping power. 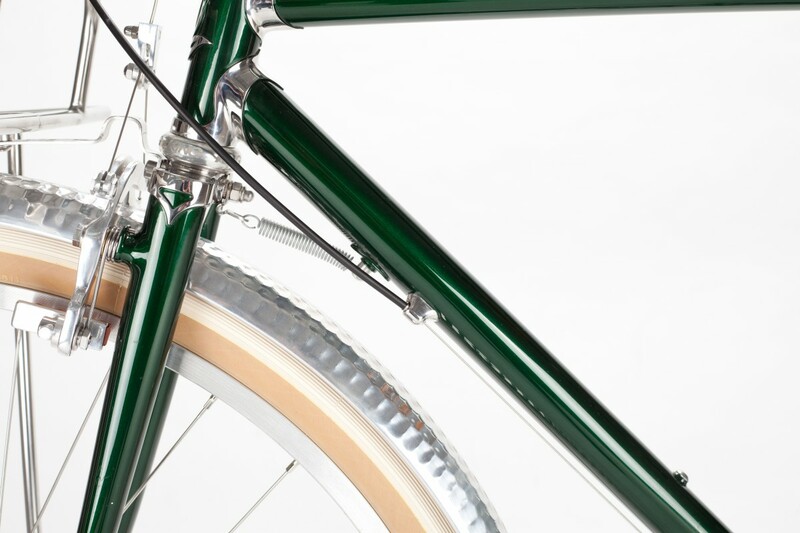 Custom fitted and drilled Honjo mudguards will keep the rain off. 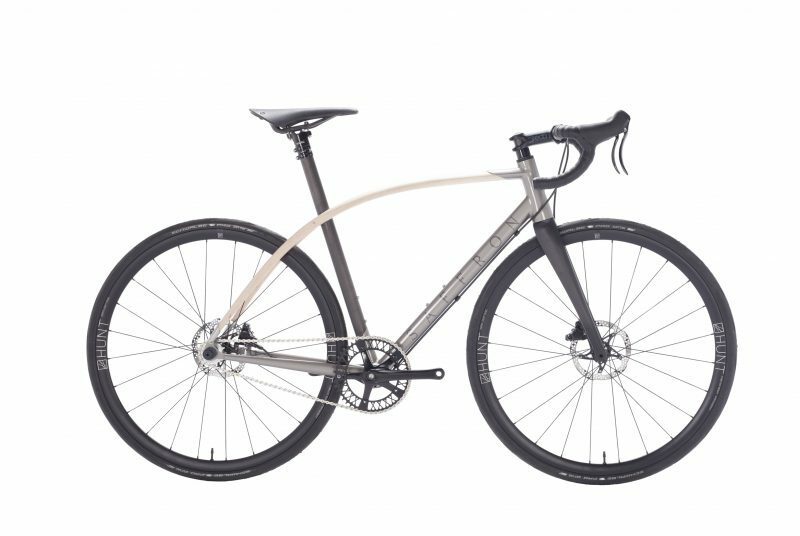 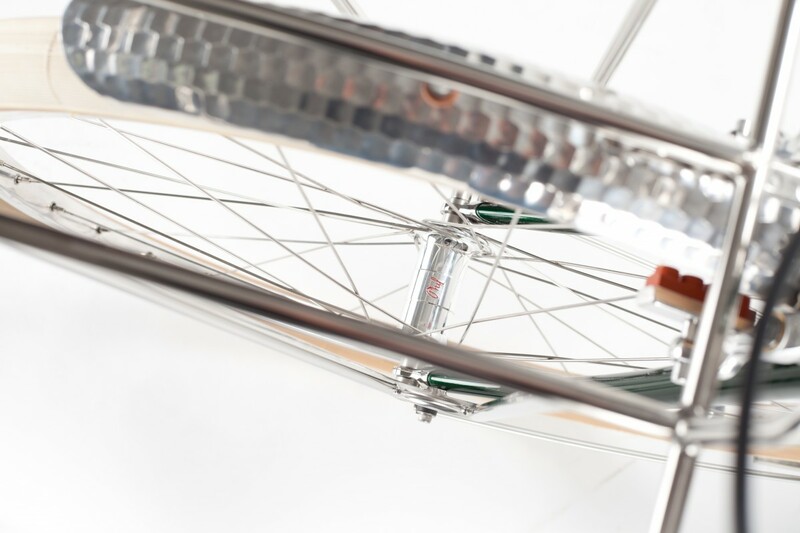 Rad asked if we had a solution for the front wheel swinging around with the bike up on a kick stand – The strong spring between the down tube and fork offers enough resistance to keep that wheel straight when on the stand. 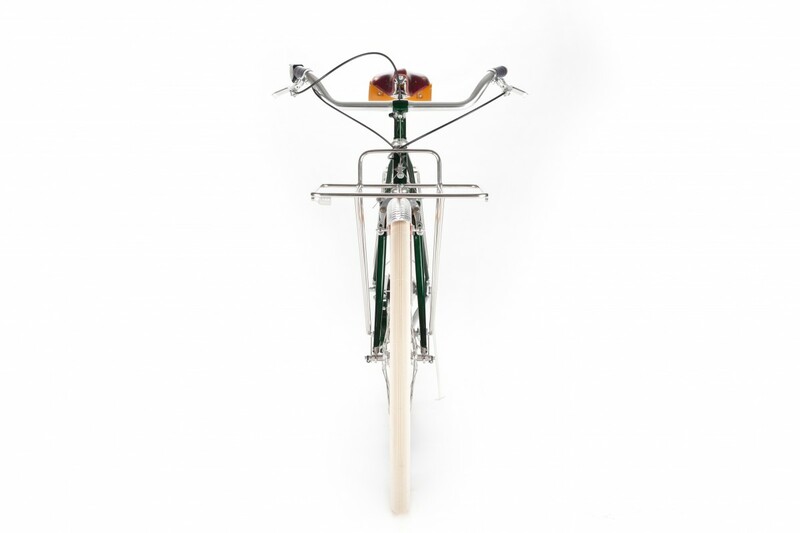 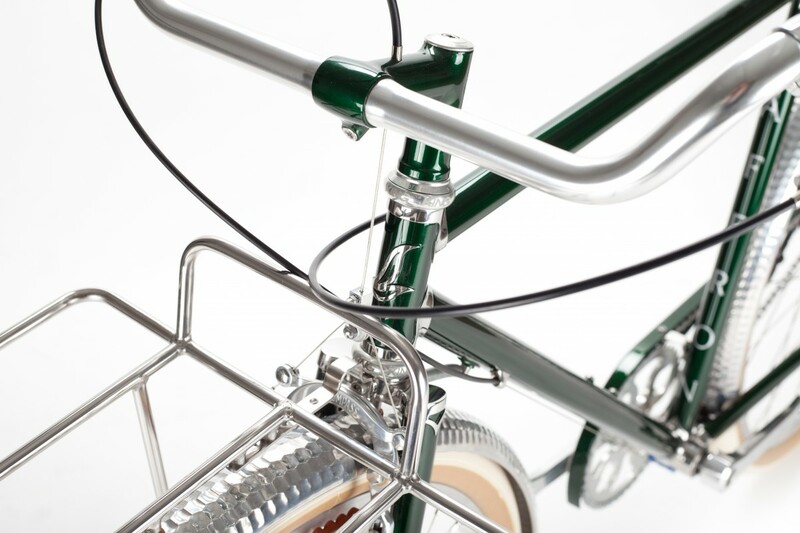 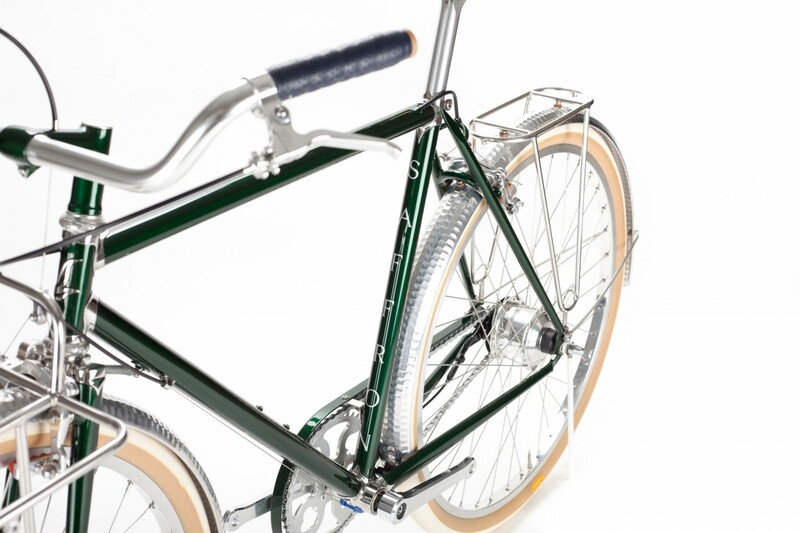 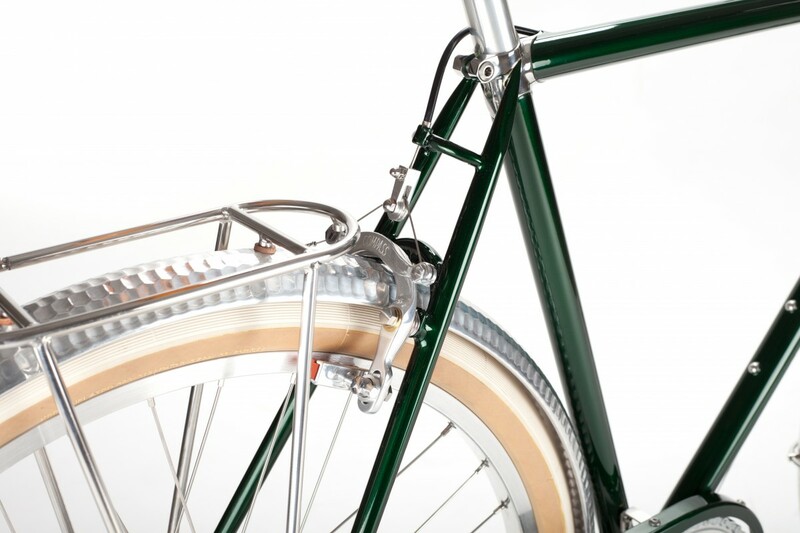 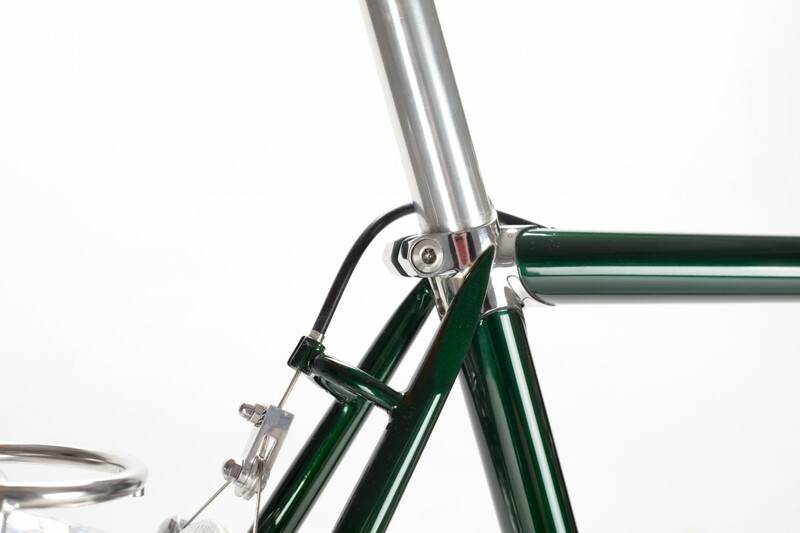 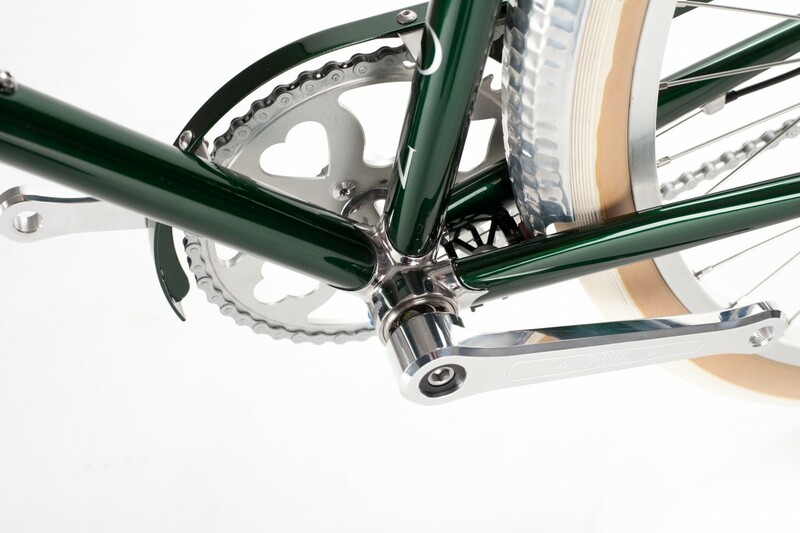 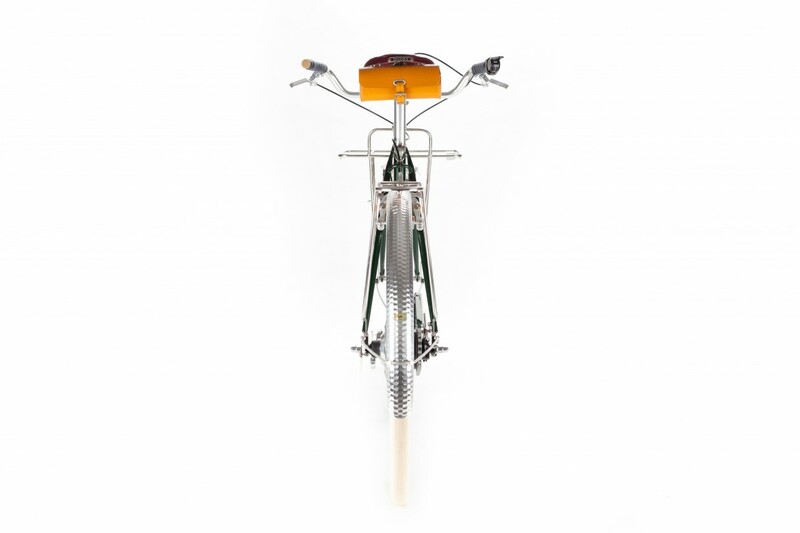 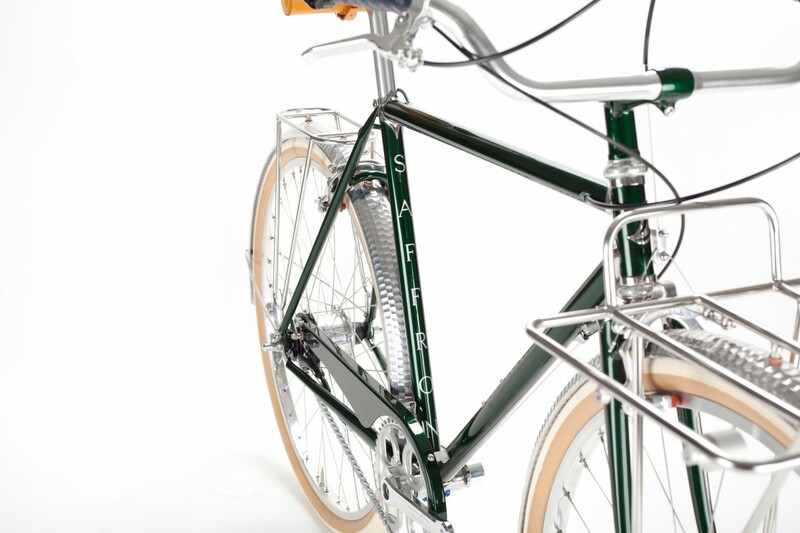 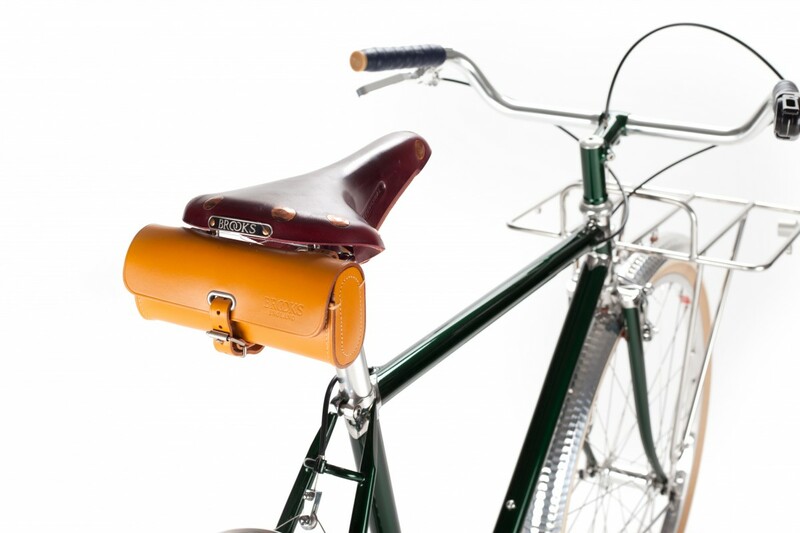 The chainguard is a modified Velo orange offering, with custom mounting to extra bottle bosses in strategic points on the frame. 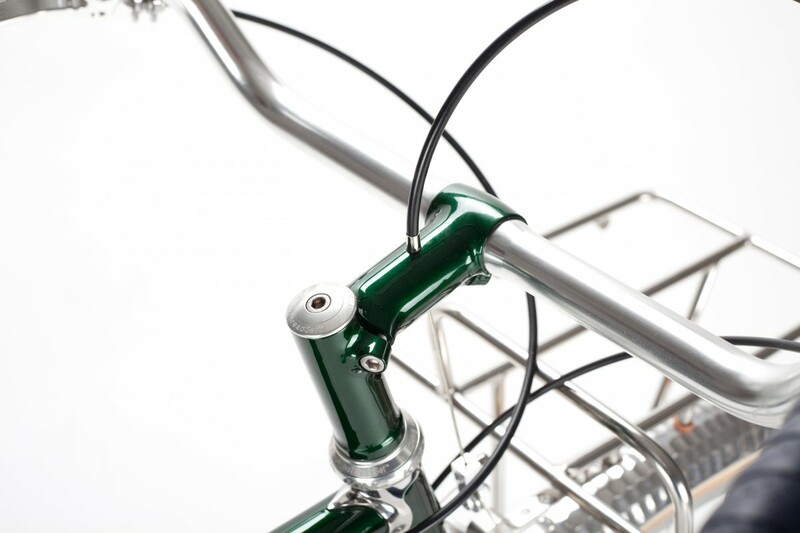 Finally the hand made steel stem has internal routing to act as a cable hanger for the front brake – as clean as simple as possible.